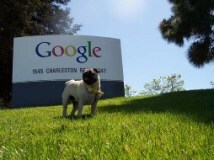 3 recent examples of Google's stated mission in life... Plus A Cool Video! 3 recent examples of Google’s stated mission in life… Plus A Cool Video! We see that unfolding in virtually every aspect of where human eyeballs would look to view data. 1) “DroidDoes” (see video below). This is Google’s effort to deliver an operating system for mobile phones. Unlike Apple’s initiative to just build a really cool phone – the iPhone, Google’s initiative is to actually provide an operating system for all types of mobile phones. Google’s Android OS is to mobile phones as Windows is to computers. It doesn’t matter if you buy a Dell computer, an HP, a Toshiba, or an Acer – they all are running Windows. Likewise, Android will dominate mobile phones. 2) Google Chrome browser for Mac: Google has a web browser called Google Chrome. It’s fast, fluid, and very efficient (most of the time). But the Chrome browser was only available to PC’s. Well Google just released their Chrome browser for Macs, and also for Linux. Although these versions are bit unstable, they are here, and that’s all the matters to Google at the moment. Now, not only is the Google browser dominating PC’s, but with the entry into the Mac market, there really isn’t any other computer system to go after – they’ve pretty much covered them all. 3) Google Chrome OS (operating system): I wrote recently about how Google CEO Eric Schmidt said that within a year, Google will release a browser based operating system for computers. This means forget Windows 7, forget Snow Leapard, there will be a new operating system in the market place with Google Chrome, and this one will be fully web based. In my opinion, this is the most relevant path to take since most people simply turn on their computers and head immediately to the web.